Bugs can be a big problem when you're trying to enjoy the great outdoors. 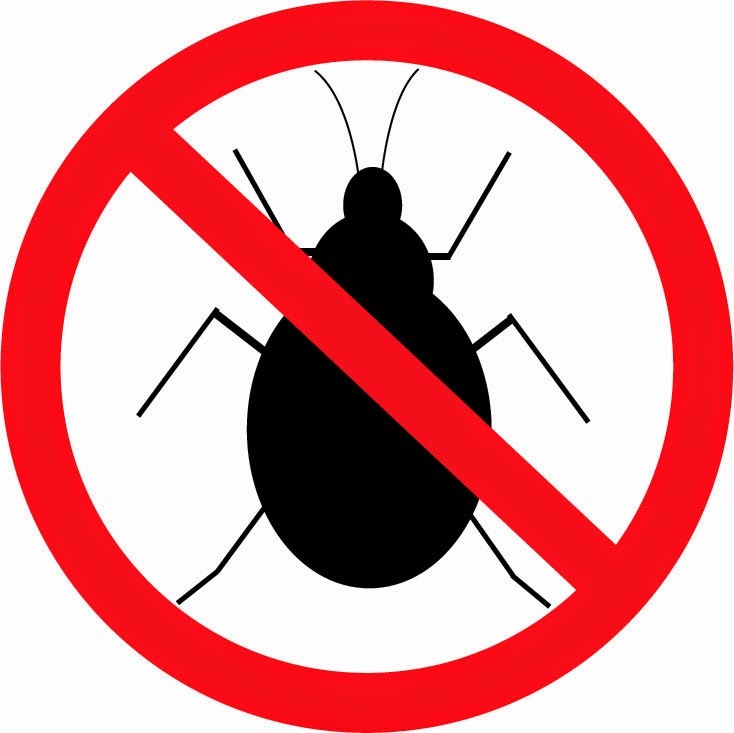 Rather than reaching for a chemically-based spray or plugging in an electronic repellent, consider these natural ways to deter insects on your summer RV trips. · Wear the right clothing. Mosquito's are attracted to the colors black and blue so think bright when dressing for your camping trip. Consider wearing pants and shirts with tight cuffs to prevent mosquito's from crawling underneath clothing. · Avoid the lakefront campsite. Most bugs build nests near the water so it's best to avoid these areas. Request an RV spot away from standing water. · Build a campfire. Campfires are one of the best parts of RV trips. An added bonus is that bugs don't like smoke! Keeping a campfire going is an easy way to naturally repel bugs. · Botanical oil repellents. For a more natural approach to traditional insect repellent, check out citronella candles and eucalyptus or soybean oil. Citronella candles are easy to find at any convenience or grocery stores so stock up and place them around your campsite to use throughout the day. Eucalyptus and soybean oil can be applied directly to the skin. · Don’t forget about an old school fly-swatter. Robert Bruton Independent AMSOIL Dealer, contact me today! AMSOIL Synthetic V-Twin Transmission Fluid (MVT) and AMSOIL Synthetic V-Twin Primary Fluid (MVP) are purpose-built for bikers who shy away from using a motor oil in their motorcycles’ transmissions or primary chaincases. Their introduction establishes secondary product recommendations in these applications, giving customers more options. The main recommendation for motorcycle transmissions and primary chaincases remains AMSOIL Synthetic Motorcycle Oil (consult the Motorcycle Product Guide at www.amsoil.com for specific product recommendations). For current motorcycle customers who use AMSOIL Synthetic Motorcycle Oil, there’s no need to change anything. Although many bikers can attest to its outstanding performance in these applications and use AMSOIL Synthetic Motorcycle Oil without reservation, some motorcyclists are locked in on the belief that a motor oil cannot adequately protect motorcycle transmissions and chaincases. Instead, they prefer lubricants that are clearly labeled for their intended applications. AMSOIL has now satisfied this demand with AMSOIL Synthetic V-Twin Transmission Fluid and AMSOIL Synthetic V-Twin Primary Fluid. They are specifically designed for bikers who are reluctant to use multi-use lubricants, offering a full line of products to appeal to everyone. AMSOIL Synthetic V-Twin Transmission Fluid and AMSOIL Synthetic V-Twin Primary Fluid are recommended for Harley-Davidson, Triumph and pre-2013 Indian bikes. AMSOIL Synthetic V-Twin Transmission Fluid is recommended for up to 20,000 miles or one year, whichever comes first. AMSOIL Synthetic V-Twin Primary Fluid is recommended for up to 10,000 miles or one year, whichever comes first. Robert Bruton Independent AMSOIL dealer, contact me for more information about AMSOIL products. GVWR (Gross Vehicle Weight Rating) – The maximum permissible weight of the unit, including the Unloaded Vehicle Weight (UVW) plus all fluids, occupants, cargo, optional equipment and accessories. For safety and product performance, do not exceed the GVWR. GCWR (Gross Combined Weight Rating) – The maximum total weight of the loaded unit, plus a tow vehicle. This includes the weight of both the unit and tow vehicle, fuel for each, all other fluids, cargo, occupants, optional equipment and accessories. Victory® and Indian® motorcycles have stormed the market in recent years, presenting riders with American V-Twin bike options beyond those offered by Harley-Davidson®. Victory is the second-largest seller of heavyweight motorcycles. Riders value the modern look, innovative features and premium quality of Victory motorcycles, as well as the opportunity to showcase their rebellious attitudes and individuality. Indian is a classic American motorcycle brand, relaunched in 2013 with bikes that incorporate a classic look with modern features. Riders value the classic look, premium quality and attention to detail offered by Indian, as well as the American spirit inherent in the brand. Much like Indian and Victory owners, AMSOIL values performance and individuality, setting itself apart from the competition by manufacturing the most advanced, highest performance lubricants on the market. New AMSOIL 20W-40 Synthetic V-Twin Motorcycle Oil (MVI) is formulated to provide premium protection for Victory and model-year 2013 and newer Indian motorcycles. It is the only full-synthetic 20W-40 motorcycle oil on the market, presenting riders a premium alternative to Indian- and Victory-branded semi-synthetic oils. 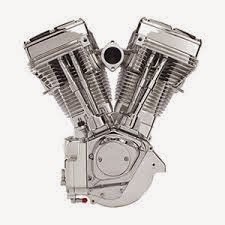 Indian and Victory motorcycles incorporate a shared sump, and AMSOIL 20W-40 is formulated to provide outstanding protection for engines and transmissions. It is absolutely shear stable, keeping motorcycles well-protected even in extreme heat conditions. AMSOIL 20W-40 Synthetic V-Twin Motorcycle Oil is recommended for use in air- or liquid-cooled Victory, Indian and other four-stroke motorcycles calling for a 20W-40 motor oil. It meets API SM and JASO MA specifications, providing outstanding protection for engines and transmissions. AMSOIL 20W-40 Synthetic V-Twin Motorcycle Oil is recommended for up to 2X the motorcycle manufacturer-recommended change interval or one year, whichever comes first. 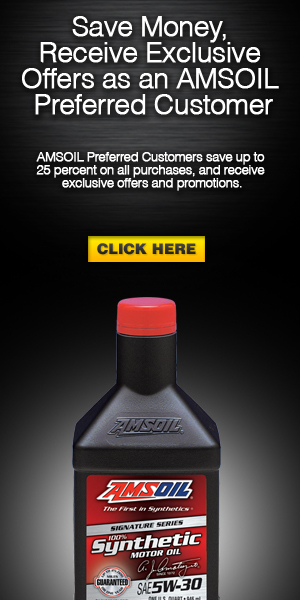 Click the photo to sell all the AMSOIL products for your motorycycle. March is one of the best months of the year here in Texas. Warmer temperatures and longer days are coupled with some of the year’s most exciting outdoor events. Fire up your RV and cruise throughout the Lone Star State to some of these unforgettable March events. Nearly all of March is consumed by the Houston Livestock Show and Rodeo, and that’s a good thing. The rodeo will take place from March 3 to 22, this year, and will feature a number of big-name concerts, rodeo competitions, livestock shows, horse shows, a carnival and an unlimited amount of events for adults and kids alike. The event will take place at the NRG Center in Houston. Borderfest 2015 Celebrating the Cultural Treasures of Korea will take place at its annual location of Hidalgo from March 5-8, this year. The event is designed to help residents and visitors of South Texas celebrate the area’s cultural diversity through tons of concerts by world-renowned artists, a grand parade, night parade, queen’s pageant and so much more. Mark your calendar for the much-anticipated Fulton Oysterfest, March 5-8. The Oysterfest will take place at the gorgeous Fulton Navigation Park and will feature oyster eating contests, shucking contests, decorating contests, arts and crafts tents, food, games and plenty of live music. If you've never been to the Fulton Oysterfest before, you’ll probably want to make it an annual tradition after visiting this year’s event. Springtime means the start of a whole new RV season, and whether that means it’s time for you to upgrade your RV or pick up a few supplies for spring cleaning, we have everything you need here at CCRV in South Texas. Making the most out of every liter is crucial when you're tuning for speed. AMSOIL premium synthetic oil is engineered to extract every bit of performance from your engine while protecting expensive components. No matter how you dress it up on the outside, your car needs top-quality synthetics on the inside to ensure maximum performance. AMSOIL makes it happen. By combining industry-premier synthetic technology with AMSOIL premium additives, AMSOIL synthetic motor oil exceeds the higher performance demands of modern engines. It withstands the stress of higher horsepower, higher heat and complicated emissions control systems. Most folks never think about something like a garage door battery. However you would think about it if for some reason you needed it and it didn't work. For most of us we never realize how much something as inane as a garage door battery might seem until we truly need it. What we are talking about is not your opener in the car, but the battery that sits inside the garage door opener itself. So why is it important for you to consider the LiftMaster 485LM garage door battery? Safety and reliability. For instance you pull up to the house, electricity is off and you need into the garage, this would be especially important say it was raining cats-and-dogs. Wife or daughter home alone it would be nice for them to get in the house safely. In a home emergency like a fire or storm and you needed to exit the house quickly, isn’t nice to know a system is in place to help exit the home quickly and safely. When you consider simply the convenience or home safety, something as small as the battery in your garage door opener can have such great importance. Then the reasons become clear why you should choose a Liftmaster 485LM OEM battery for your garage door opener. The importance of considering OEM or factory specific brand vs. a like knockoff can be drilled down to a few simple things that will give you pause to make sure you buy a quality brand. Don’t be fooled by brands found on major online shopping sites. 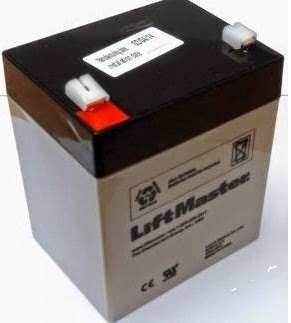 Make sure you’re getting an OEM Liftmaster battery. Safety would of course be the most important aspect of choosing an OEM brand. In case of a home emergency, fire, home intruder or storm, you simply want the garage door opener to work. Liftmaster batteries give your family the peace-of-mind that when you need your garage door to work it will. If a storm has knocked out the power to your home, wouldn't be nice to know your garage door will open getting you and your car into dry quarters. Your car is out of the elements protected from storm damage. It could also be said it’s just simply nice not to have to get out of your vehicle in a storm and make your way to the front door soaking wet. So the battery is a bit more important than some might think. Here are some home safety tips for keeping kids safe in the garage from Nationwide Insurance. When it’s time to replace your garage door battery you will find many choices. The foregoing should have helped you understand why choose a Liftmaster battery vs. an imitation or knock off brand. When you truly need the battery to work as we discussed do you really want to chance your families’ security by choosing a cheaper or lessor brand? Certainly not, and we understand full well the significance our batteries can have on your life. That’s why our batteries are made to such exacting standards as to be called OEM. Your manufacturer trusts our batteries will work when it’s most needed and you can to. Check out the Liftmaster 485LM Garage Door Battery for your home.